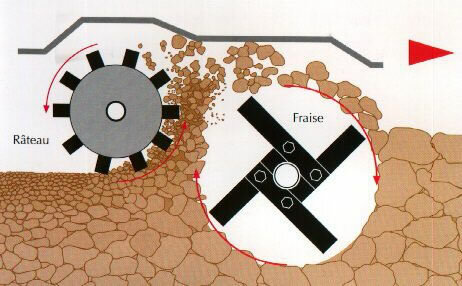 A large rotor working the soil in depth. A smaller rotor working the soil surface and refining the seedbed. In very light or sandy soils, we recommend adding a rear roller that can firm up the soil a bit more to get higher germination rates. 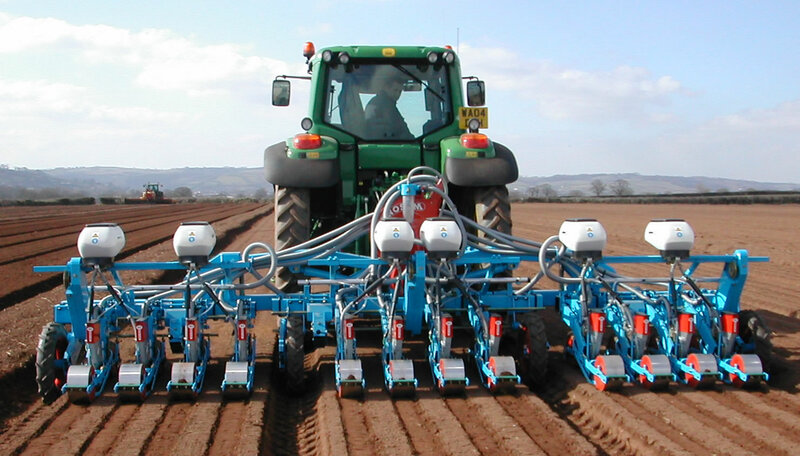 The Cultirateau is available in single (one seedbed formation of 1,60m each), or triple (3 seedbeds at once). For carrot seeding, we recommend and supply the Monosem MS vegetable planter which is nowdays widely used accross the planet. 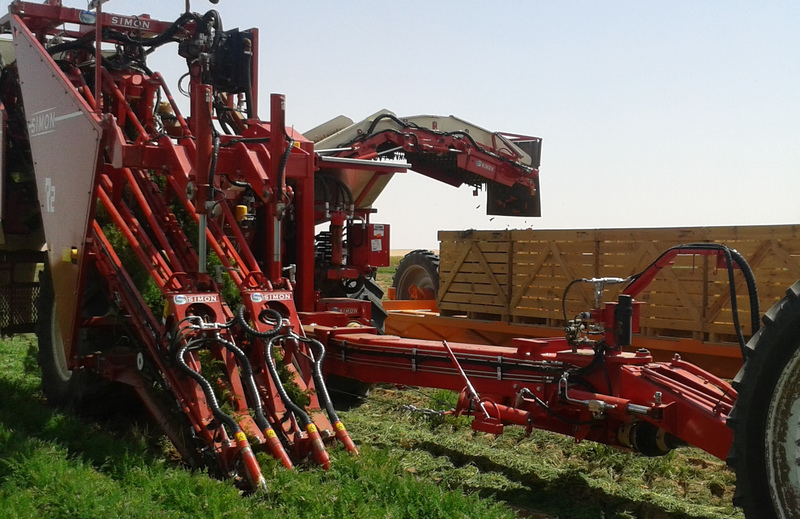 We sell this planter in Africa and the Middle East for carrot and onion seeding in particular with a 100% client-satisfaction rate! Carrot producers appreciate its ease of use and high accuracy, and the ability to plant double rows in one pass (row spacing of 7cm) which allows a more regular production: with more space between the carrot roots a uniform development is obtained. 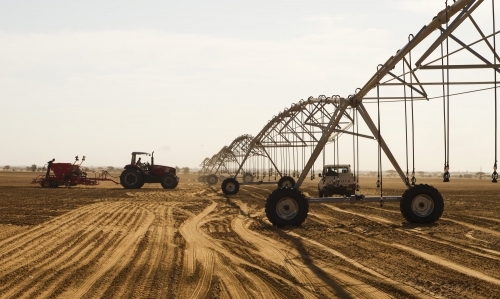 Our clients sow 3 or 4 double rows on each bed depending on location and harvesting method. 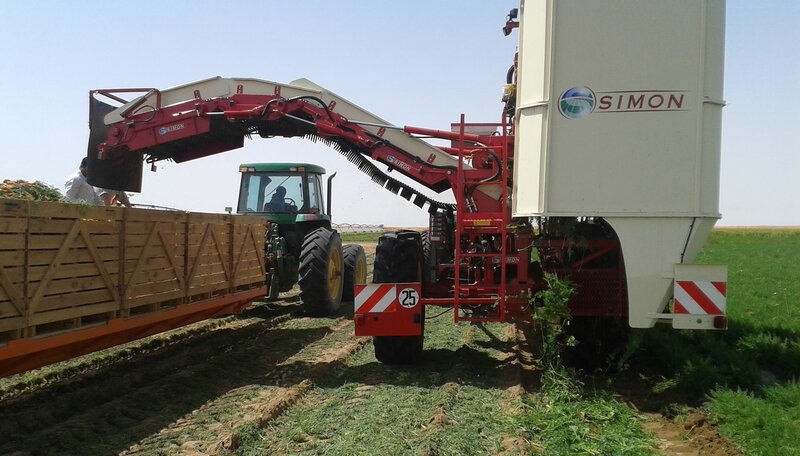 As always, with the aim to provide you with the most suitable equipment for your needs, ICS also recommends and supplies harvesting machines manufactured by the Simon company as they stand out as the leading specialist when it comes to carrot crop machinery. Single row mounted carrot harvester. Double or triple row trailled harvester. In this case, it is essential to have previously used the right type of planter (3 or 4 rows per seeding bed). Self propelled 4 rows harvester. We will also guide you through the choice of options depending on the soil type and the quality of harvest you are aiming for. 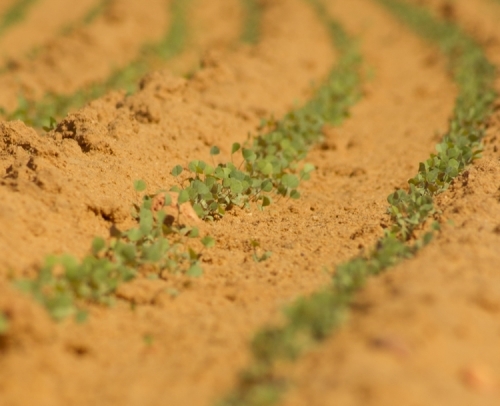 In fact, in heavy clay soils for example, it might be necessary to add a washing systems to obtain clean vegetables suitable for the fresh produce market. 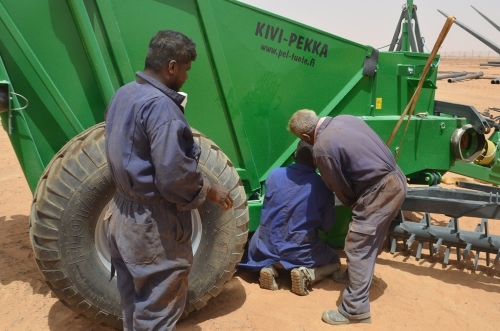 Such optional equipment isn't necessary in sandy soils. Carrot harvesters usually consist of 2 belts which pinch the stems and lift out the roots. In heavy soils or if the variety is fragile, somes carrots might break off at collar level. The Simon carrot harvesters are well-known for the gentleness with which they lift the carrots. The belts are longer than those of their competitors and have a different angle of attack: product loss is close to inexistant and the quality of harvest improved. ICS also supplies all complementary harvesting and storing equipment such as specific trailers and bins. When carrots are grown for the food processing industry and immediate use, the harvest is conducted differently. It is necessary to cut the leaves prior to pulling the root from the soil. ICS recommends in this case the use of a digger/loader type machine to harvest the roots. These machines are very specific, please contact us for more information. ICS can also supply a compete post-harvest line of machinery: washing, sorting and bagging equipment. The choice relies on numerous factors such as market type, required product, cleaning level, productivity etc. 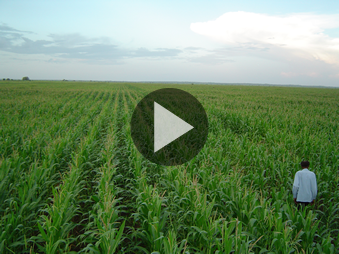 A discussion is then necessary to outline your needs and select the best adapted post-harvest line.